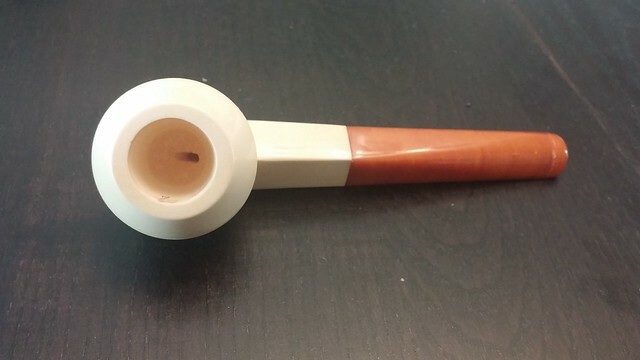 Finding an interesting old pipe is always a thrill for me, but finding a well-made vintage pipe that has survived in as-new, unsmoked condition is a real treat. 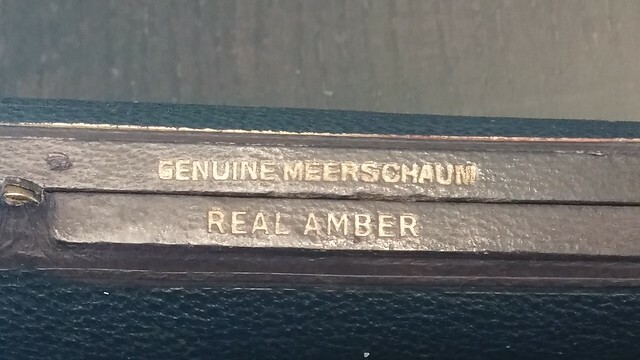 This Delacour meerschaum and amber bulldog was part of the estate collection I acquired recently. There were a few other meers in the box, which I hope to be able to share with you soon, but I wanted to showcase the minty freshness of this vintage piece first. First a bit of history (of which I could find very little). Alix Delacour started the pipe company in 1892 in St Claude, France and by all accounts got off to a good start with factory expansions from 1893 – 1909. 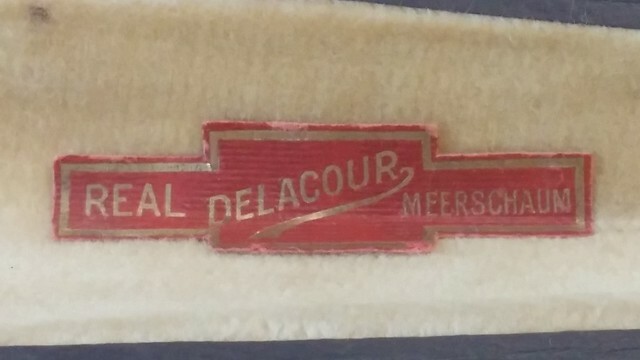 Sometime in the early 1900’s the company also branched out across the Channel, where Alix and brother Joseph operated as Delacour Brothers Ltd. The good times ended for the firm in the late 1950s, and the factory closed in 1960. 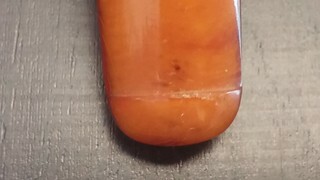 Judging by the amber stem’s orifice style opening and bone tenon, my best guess is that this particular pipe dates from the 1920s or early 1930s, though it could arguably have been made any time up to the late 50’s. 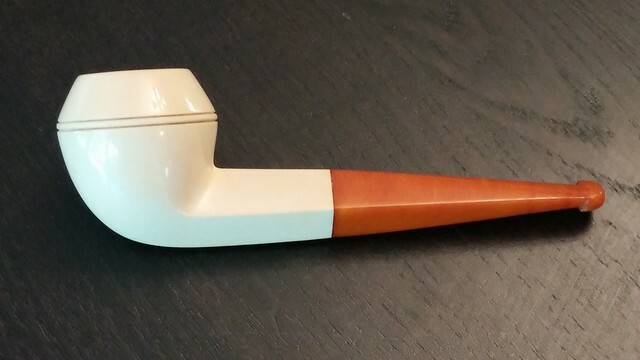 The pipe is in excellent vintage condition, with only some very slight marring of the back edge of the button. 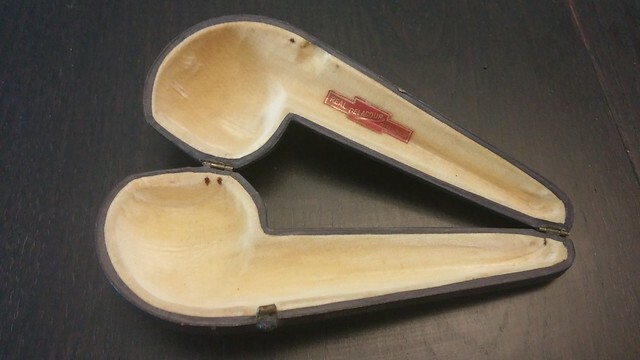 The pipe itself is unmarked except for a handwritten “7” on the inside of the bowl – perhaps a seller’s inventory number? 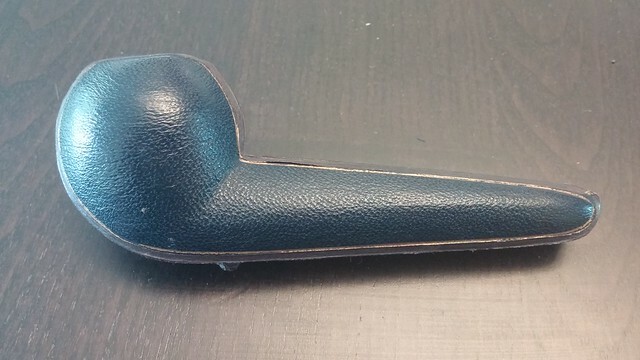 The pipe fits perfectly in its leather case, inside of which is a label which reads “Real Delacour Meerschaum”. 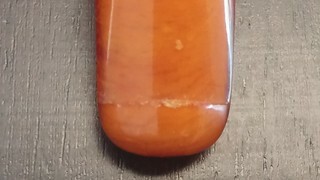 On the exterior, the leather is marked “Genuine Meerschaum” and “Real Amber” on the edge near the catch. 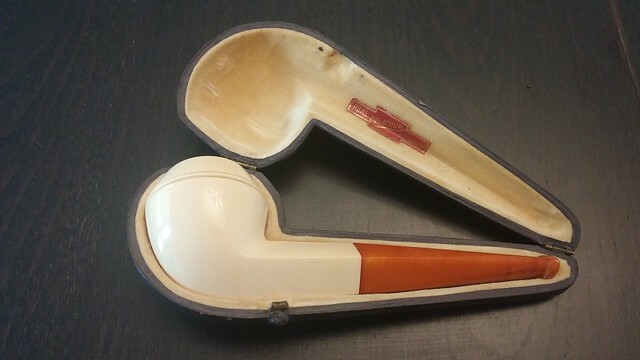 The case itself is in the same great shape as the pipe, with only minimal handling marks. 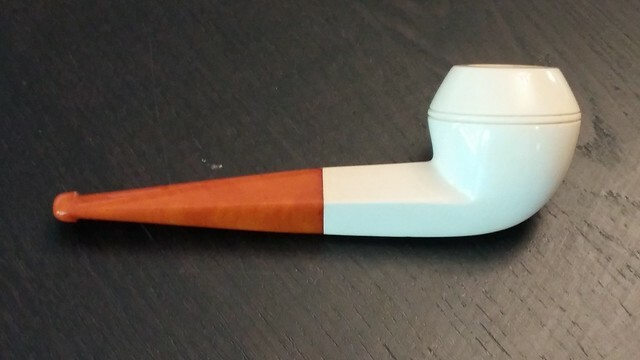 This Delacour pipe is almost as fresh as the day it left the factory. It would make an excellent start or addition to any collection. It is available now on the DadsPipes Store. Just looked in your store, Charles. That’s a good price for such a rare find in this condition. I want to pull the trigger, but this month my funds are not cooperating. That would not make my wife happy, for sure! I’m definitely overbought for pipes and tobacco because of the recent legislation in the U.S. We may not be able to get many of our favorite tobacco’s, and possibly pipes too, after this August. Yes, I’ve been following that development. Have prices spiked yet? Prices seem stable, so far. There are shortages, especially on new released baccy. I’m sure as it gets closer to August tobacco fever will start. I can see worldwide implications. Jobs and company revenues are going to suffer and this may disrupt world supply. 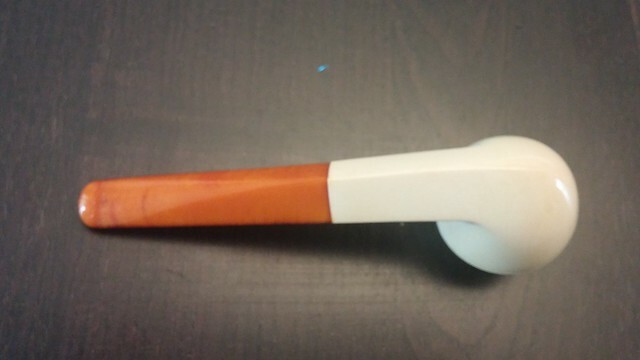 On the previous pipe, what does GOC represent, exactly? Wonderful job on the pipes to date, by the way. 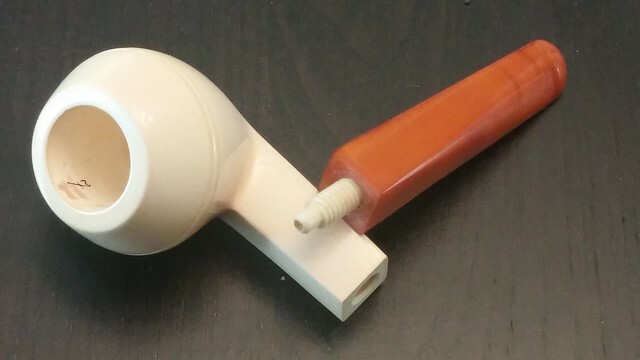 A real (and very detailed) primer in pipe restoration. 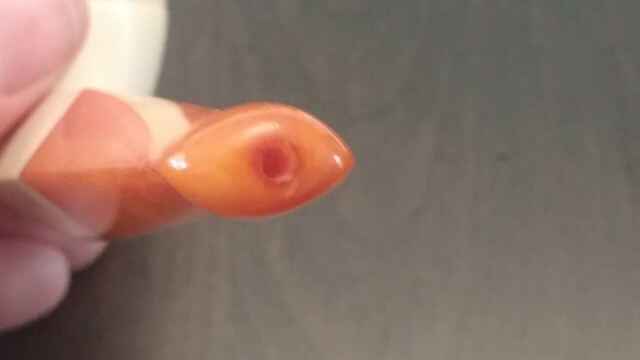 We are enjoying your blog very much. The letters GOC is a contraction of the company’s name – Gros, Grenier, Ostorero & Cie.